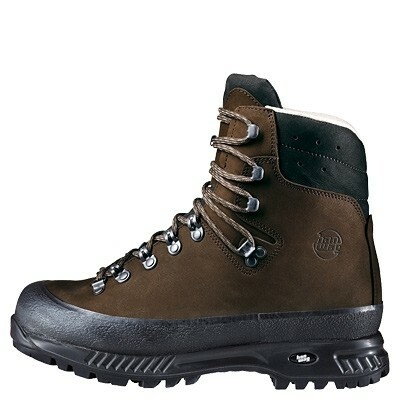 Hanwag Men's Yukon Boots (WIDE) is a no-frills trekking boot with a comfortable leather lining. For superb comfort and a pleasant wear climate – suitable for diverse trekking terrain. *Note: Hanwag Boots are sized in UK size only. Please, make sure to check the sizing chart below to obtain the correct size for you. IMPORTANT NOTE: ALL HANWAG BOOTS ARE IN UK SIZING ONLY. PLEASE USE THE SIZING CHART TO INSURE YOU ORDER THE BEST SIZE POSSIBLE. NOTICE TO CUSTOMERS - HANWAG BOOTS ARE SIZED IN UK ONLY! PLEASE USE THE CHART BELOW TO FIND YOUR CORRECT UK SIZE WHEN ORDERING.